In a service industry noted for leadership and independence of spirit by its executives, the deeds of Richard Adamson Lumpkin rise to the top. As a third generation telephone man, he grew a small independent telco into a large and respected industry leader while serving his community and the nation with a unique spirit that drove him to excel. He graduated from Yale University in 1921 and promptly began his career with the Coles County Telephone and Telegraph Company. Under his firm and long-term guidance, the company expanded into Consolidated Telephone Company, the latter one of the largest non-Bell companies in the industry. 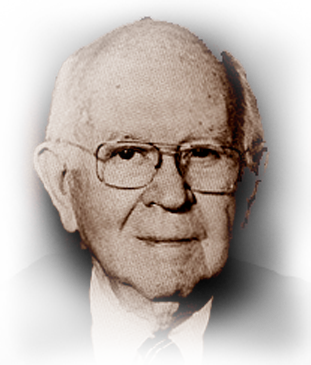 His telephone career included 30 years on the USITA Board of Directors, serving as its president in 1947 and on its Executive Committee from 1943-1961. He performed equally well for the Illinois Telephone Association, which in 1970 presented him its first Man of Distinction Award. And likewise, he served as president and director of ITPA. In efforts parallel to his 70-year industry career, Lumpkin maintained many outside business and government service interests. For example, he chaired the Cumberland County National Bank board of directors and was a director of several other corporations. During World War II, he was a consultant to the Communications Section of the War Production Board. Later, he served on the Communications Subcommittee for the Joint Chiefs of the Staff and on the Communications Industrial Advisory Committee of the Department of Commerce. He died on November 10th, 1989.